C. Mapping of Buried Non Metallic and Metallic Utilities: Data acquired in field by use of GPR by following a defined survey protocol can result in quality data being processed into accurate maps of the underground utility assets or buried utility services which can be converted into As built maps in CAD. Asian Contec Limited under the brand name Stanlay is the exclusive distributor to M/s CSCOPE UK for its range underground locating equipment includes a variety of technologies that accurately locates buried metallic utilities, power cable locators, pipe detector, telecom cables route tracer, cable avoidance tools in India. Apart from that Stanlay is also exclusive distributor to M/s IDS Italy for its range of Ground Penetrating Radars in India. Both M/s C.Scope UK and M/s IDS Italy underground locating equipment’s are considered as worldwide leaders in their respective industries with the highest quality products built to last and used by operators at any level. Stanlay also provides comprehensive training programs on equipment supplied apart from service programs which ensures that your investment into the product provide you a significant return over a long period of ownership. Stanlay is India’s largest distributor of underground locating equipment with a customer base spread across majority of all premier companies in India spanning hundreds of clients. 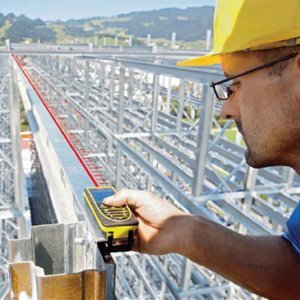 India's most trusted & most widely used Buried Pipe Cable Locating Equipment for Locating, Avoidance and Route tracing of buried metallic Cable & Pipe Utility services. 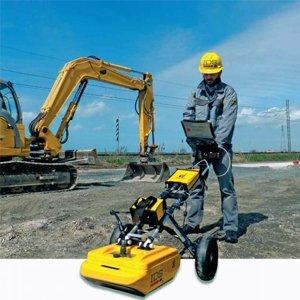 Underground Utility Mapping GPR for detection or Mapping of Buried Non Metallic & Metallic Utilities in association with IDS Georadar Italy. Options include Dual frequency to Multi frequency multi array Utility scanners. 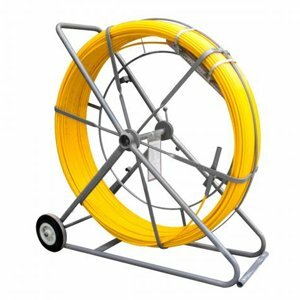 Stanlay Traceable Duct Rodders use extensively during OFC telecom projects with easy to use simple push technique. Ball & Disc Type Electronic Route Markers for permanent marking of burried cables, pipes and utility services. Options include Both Passive Markers and Smart RFID Markers. 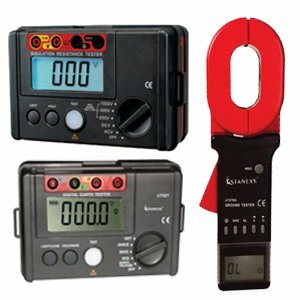 Stanlay is the exclusive distribution partner to Csope in India for their range of Metal detectors. These are low cost high performance motion and non motion detectors . Manhole cover locator for locating metal covers buried below asphalt. Ferromagnetic locator for detecting ferrous objects buried at higher depth such as cast iron pipes, valves, manhole covers.